We are also licensed to officiate Weddings in D/M/V! "Like a good neighbor we are there when you need us!" 7 Days a Week at Your Service! ​ "No problem-we can come to you!" With 15 years of professional notary experience we can get the job done right and on time! Certified Notary-Open 7 Days a Week 7 a.m. to 9:30 p.m. 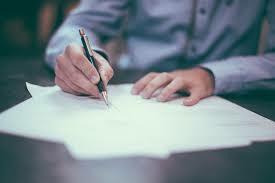 Writing Service: We can also write professional letters that get results to Federal, State, County agencies, academic institutions or non profit organizations or corporations for you! 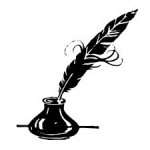 Skilled professional writers are available and our speciality! Escribimos todos tipos de cartas en Ingles! Bilingual/Bilingue (English/Spanish) fluency: Se habla Español! ​Open 7 a.m. to 9:30 p.m. Daily! Short notice and same day service our specialty! We can accommodate your schedule later than 9 p.m. with advance notice! Commonwealth of Virginia Notary Public -Commission Expires April 30, 2021. Reliable, Reasonable, Certified and Professional Mobile Notary and Business Writing Service and Loan Signer with 18 years of notary experience! 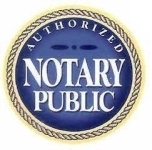 We are the trusted and preferred mobile notary service by many local and national title and mortgage companies, attorneys, businesses and individuals in Northern Virginia. If you need witnesses for your documents, we can bring them for a nominal accomodation fee for their travel and time. Serving you is Job One! Please be aware that all signers need an unexpired U.S or state government issued picture ID card to notarize documents. ( Driver's license, Passport, Military ID, etc.) If, for example, an elderly individual has an expired state issued license, the Commonwealth of Virginia provides for the notary to accept the sworn testimony of two witnesses who have known the principal signer in his/her life. All witnesses MUST present state or federal ID's to proceed. 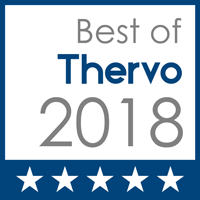 Cities served: Alexandria, Annandale, Arlington, Ashburn, Burke, Clifton, Chantilly, Centerville, Crystal City, Dale City, Dumfries, Fairfax, Fairfax Station, Falls church, Fort Belvoir, Franconia, Great Falls, Herndon, Kingstown, Lake Ridge, Leesburg, Lorton, Manassas, McLean, Mount Vernon,Occoquan, Oakton, Pentagon City, Reston, Rosslyn, Springfield, Sterling, Tysons Corner, Vienna, and Northern Virginia. Counties: Fairfax County, Alexandria City, Prince William County, Arlington County, Loudoun County, and Culpeper County. We also do notary signings at Dulles International Airport, Reagan National Airport, train stations and bus stations in Northern Virginia. Last minute and same day service is our specialty! Economical, Professional and Timely Service. Notary Public and Certified Professional Loan Signer. Errors and Omission insurance to $100,000. ​We are experienced in real estate closings. Certified by 123 Notary! 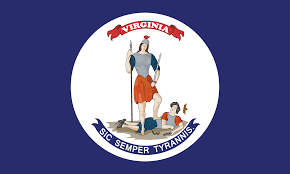 Commissioned and Licensed by the Commonwealth of Virginia. Flexible, personable and customer friendly. Bilingual - English and Spanish Fluency. State issued driver's license or identification card. Federal, State or County employee ID cards. U.S. Passport, or Foreign Passport. Presenting a Social Security card or MEDICARE card does not meet the required identification standards of the Commonwealth of Virginia. Please be aware that Public Notaries can not certify true or exact copies of certain government issued documents such as birth certificates, marriage certificates, death certificates, real estate deeds, court orders or police records. We can however, certify a true copy of a passport, drivers license, copy of a diploma, college degree, military discharge or military or government commendation presented to a Notary Public. Estamos disponibles a ayudar los ancianos y a los incapaces que no pueden viajar afuera de casa! Servicio al publico es nuestra prioridad! We are able to assist elderly and the disabled that can not travel outside of their home. Public service is our top priority! We also provide professional bilingual (English and Spanish) letter writing service for travel, work, business, school, government, etc. Tell us what you need done! Dominion Mobile Notary supports, disabled, handicapped and at risk young adults in Northern Virginia, especially those who are homeless and indigent! Dan Kane, our principal notary public, works with at risk and disabled young adults as a volunteer providing employment counseling, transportation to and from physical therapy sessions, spiritual and career counseling and serves as a mentor to many young adults from broken homes and families in the community. We also support Catholic Charities, Interfaith Charities, Father Flanagan's Boys Home, St. Francis Soup Kitchen and many other charities. We support our Military Veterans who served our nation! Wounded Warriors Project and also assist disabled youth in Northern Virginia. We also provide personal assistant and errand services for the Washington, DC metropolitan area! Inquire about how we can help you! All rights reserved. Updated November 2018.